Page 2 : Backlightweb (Deltablue ltd) CCFL, backlights, bulbs, and special order special shaped bulbs!, shipped worldwide, Nothing custom is to much work for us. 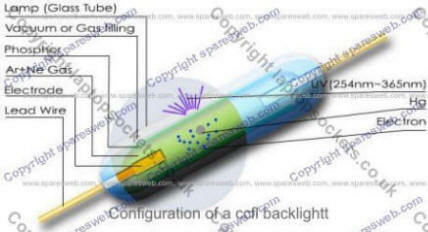 The CCFL (Cold Cathode Fluorescent Lamp) is a light source classified as an electronic component. The CCFL in simplest ter is a gas-discharge light source, which produces its output from a stimulated phosphor coating inside the glass lamp envelope. A CCFL can be described as a transducer converting electrical energy into light energy. 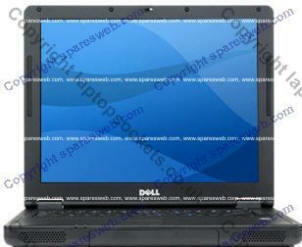 Backlights or ccfl tubes come in various lengths, and the length varies on various brands of lcd. There are three main ways to select the right lamp, which are below. You need to get as close as you can but not going longer than the one you have (they don't squash down) generally you can get away with between 2-10mm shorter than the original lamp without affecting the quality of the light you receive. even with one slightly shorter, you would only have a tiny slightly less bright corner just below the lamp, but it would still be perfectly usable. Remember if you select one to long, you will not be able to install it. This is the best way to get the closed length of lamp possible. LCD Backlight (CCFL Lamps) are normally held on inside of Reflector as picture shown at below. There are Silicone Rubber Cap on both ends of CCFL Lamps. The measurement should be from glass to glass( Shown on Photo below) plus the length of one of Silicon Rubber Cap. Then you correct length should be glass to glass plus 4-5mm one end. Let use 5mm for example. It is not a good idea to pull your old lamp out from your laptop screen, measuring it and waiting for new lamp to arrive. 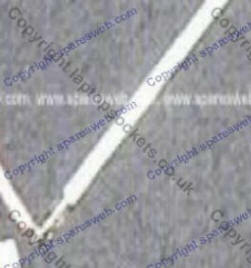 So there is another effective way by measuring the active area of screen, horizontally as shown on photo below. Then you can do that all the replacement at once.